We’re looking at an Expo that is related to mobility, movement, travel, sustainability—things that are very important to the world today. We have designed this building to be circular in form with slants fashioned to project a sensation of movement, making the viewer feel like the building itself is in motion. And then, once you enter the building, it opens up to what the United States stands for: We are an open, accessible country where you can live to create ideas. It showcases all the things we are doing in America: developing technology and concepts that are going to move us forward in the future. Designing this pavilion is a tremendous responsibility—one we take very seriously—as we will be showcasing America and American ideas to over 25 million people expected to visit the Expo. 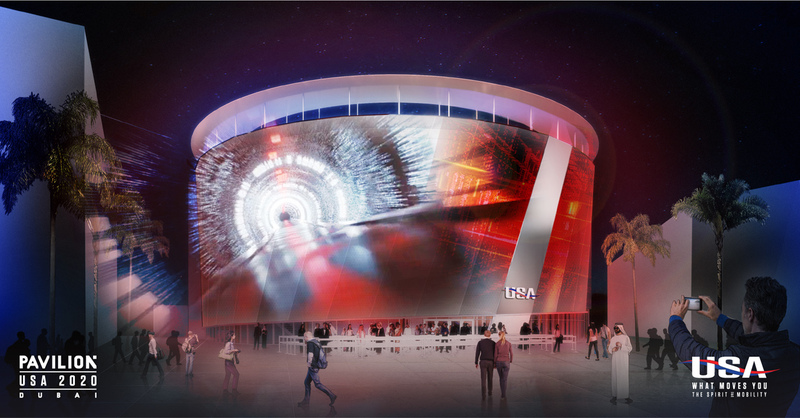 ﻿ Pavilion USA 2020, the collective entity responsible for the installation, also announced a partnership with the California-based Virgin Hyperloop One. Come 2020, the pavilion will host mock-ups of Virgin’s hyperloop pods and offer simulated rides ahead of a projected 2021 rollout in as-of-yet unfinalized locations. The three-story pavilion will feature an internal walkway wound around a central internal void and multi-media column that will double as a triple-height public plaza. The programming will explore a range of what “movement” can mean, from space travel, to shipping cargo, to tracking the flow of blood throughout a body. The Dubai 2020 Expo will open to the public on October 20, 2020, and run through April 10, 2021. Fentress Architects will design the United States of America’s pavilion at World Expo 2020 in Dubai. 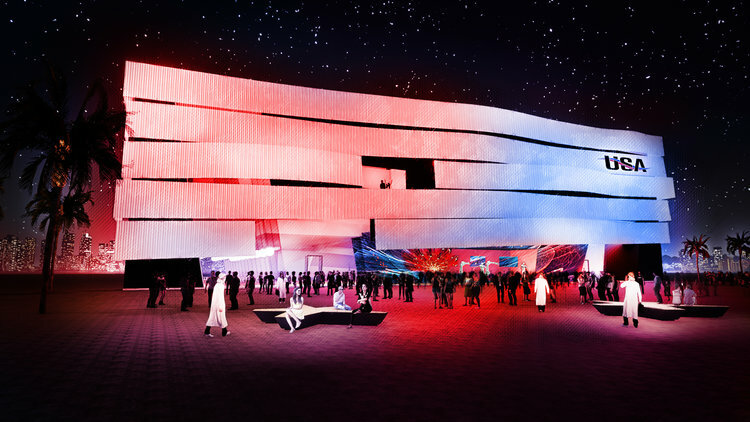 The winning design is based on the theme “What Moves You,” and will emphasize, “the power and diversity of culture, technological innovation in mobility, and commercial opportunity throughout the United States,” according to a statement from Pavilion USA 2020. Fentress’s design will play into the “dynamism of American culture,” and national values of “ingenuity, progress, and innovation.” The renderings from Fentress are yet to be released. “Working across the U.S. has given Fentress Architects diverse perspective on the attributes and attitudes that Americans share. We will coalesce these characteristics into a single architectural expression at World Expo 2020 Dubai, representing the entirety of the U.S. and its design prowess to an international audience,” said Curtis Fentress, principal in charge of design at Colorado-based Fentress Architects. The Fentress-designed pavilion will work with large and small firms from across the U.S., local citizens' groups from different states, and the U.S. and U.A.E. governments to tell a story about the U.S.’s role on the global stage. The exhibit and experience design will be curated by Michigan-based George P. Johnson Experience Marketing (GPJ). Dubai Expo will be held between October 20, 2020, and April 10, 2021, near Dubai emirate’s western border with Abu Dhabi emirate. American firm HOK is responsible for its master plan. The U.A.E. selected the theme “Connecting Minds, Creating the Future” and the sub-themes Sustainability, Mobility, and Opportunity. It is expected to draw over 25 million visitors to the city and be a major economic event. The Bureau International des Expositions is the organizing body behind the shows, which are held intermittently around the world, most recently in Milan in 2015 and Shanghai in 2010. Previous expositions have been occasions for spectacular, sometimes experimental architecture, as in Buckminster Fuller's dome for Expo 1967 Montreal and Kenzo Tange's pavilion for Expo 1970 Osaka. The shows have historically been venues for industries of various nations to showcase their abilities and visions. 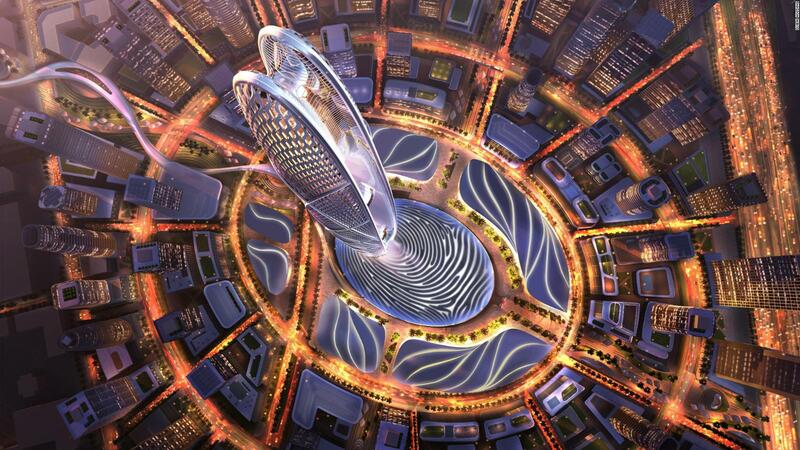 Expo 2020 is the first world expo held in the Middle East, North Africa or South Asia. The preparation and operation of the fair are expected to result in 277,000 new jobs in the U.A.E. and inject $40 billion into the local economy. Check out this link for more details. Dubai, seemingly the architectural playground of choice in recent times, was selected to host the 2020 World Expo three years ago. The event, which will last six months, will have the theme of "Connecting Minds, Creating Future." Not wanting to miss an opportunity to flaunt extravagant designs, Danish architect Bjarke Ingles and Brits Norman Foster and Nick Grimshaw have wasted no time jumping on the Dubai bandwagon. Their three firms, BIG, Foster + Partners and Grimshaw Architects have all received the green light to contribute pavilions touching on themes like mobility, sustainability, and opportunity. His Highness, Sheikh Ahmed Bin Saeed Al Maktoum, Chairman of the Expo Higher Committee in partnership with Emaar Properties, unveiled the winners of the competition this month. 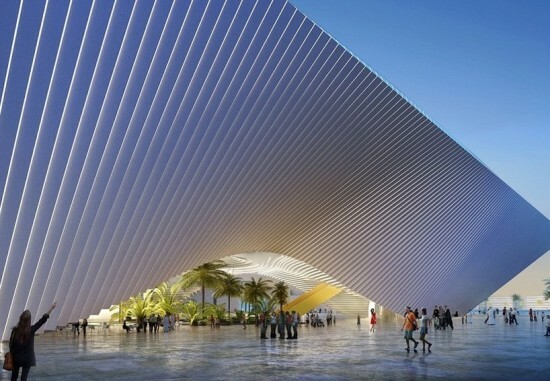 BIG will design the "Opportunity Pavilion" which showcases an extravagant undulating facade curved in three dimensions. The structure invites audiences in by revealing the central lobby and core of the pavilion which also houses an array of trees and plant life. Foster + Partners put forward their "Mobility Pavilion," which is equally outlandish and curvaceous. Foster reportedly drew on his experiences when master-planning Masdar City—a city in Abu Dhabi that will rely solely on renewable energy. Finally Grimshaw Architects' "Sustainability Pavilion" maintains the trend toward elliptical design, with a replica of a large solar collector. Usually seen in the desert, similar designs require a tower to focus the light onto the collector (and others in the vicinity). Here, the large disc, which is acutely curved to form a bowl, is surrounded by many smaller versions that stand freely around it. The three pavilions make up only a fraction of the 200 hectare site of the Expo, expected to open in four years.